Formax 8600 Office Shredder - Roberts Business Machines, Inc.
Formax FD 8600 Office Shredders offer a 16″ feed opening combined with commercial-grade components in a sleek, practical design. An easy-to-use LED control panel puts the power right at your fingertips. The FD 8600CC Cross-Cut model can shred up to 28 sheets at a time, up to 20 feet per minute, with a shred size of 5/32″ x 1 1/5″. 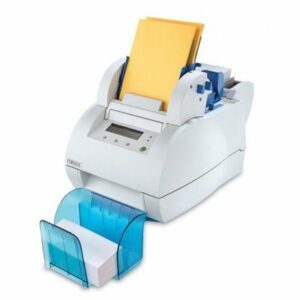 The FD 8600SC Strip-Cut model can shred up to 31 sheets at once, up to 30 feet per minute, with a shred size of 1/4″.